“Throughout his life Dr. Kapany has been a scientist, inventor, business executive, entrepreneur, academic scholar, professor, philanthropist, artist and art collector and artist. In other words, he is a true Renaissance man and exactly the kind of board member Gravity4 has been looking for,” said Gravity4 Founder, Chairman and CEO Gurbaksh Chahal. According to Chahal, just as fiber optics enabled data to travel at light speed, Gravity4’s Marketing OS is unlocking new data to customers within 30 milliseconds, fundamentally changing the way marketers and publishers succeed. Kapany agrees. "I’ve witnessed firsthand Gravity4's vision in redefining the software and marketing industries as just the beginning of their disruption in the marketplace. I have no doubt they will soon become the leaders of automating the $100 billion global ad market,” he said. In addition, Gravity4 is adding two new executives to its management team. Samih Fadli has been named senior vice president of global engineering and Nathan Kania as vice president of East. Fadli was previously CTO and executive vice president of global engineering at Grid Dynamics, and former CTO of Avanade North America, driving industry alignment and innovation across Accenture, Microsoft and Avanade. Kania comes to Gravity4 from Parade Media Group (Advance Media) where he was vice president of digital sales. Previously he was digital director at Amazon and at Time Inc., producing significant revenue growth and partnership development for both companies. Gravity4 is the world's first High-Frequency Marketing OS integrated on one platform. Automation, Simplicity, and Design have been a core ingredient in all of the technology it has brought to the marketplace. The Company's goal from day one has been to simplify marketing by humanizing all of its fundamental components. Gravity4 offers a full software stack that integrates social, web, email, CRM and mobile that allows marketers to save millions of dollars annually and automate their marketing across all consumer touch points. Gravity4 is headquartered in San Francisco with offices in Chicago, New York, and Wroclaw. 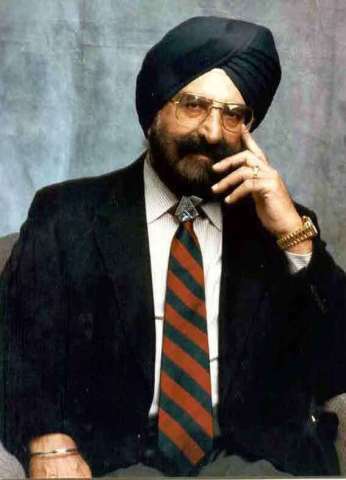 Gravity4 Adds “Father of Fiber Optics” Dr. Narinder Singh Kapany to Board of Directors; Samih Fadli, Nathan Kania Also Join Rapidly Growing Developer of First Single-Platform High-Frequency Market OS.